Authors these days wear a lot of hats. Not only do we write books; we have to be our own marketers, becoming website designers, bloggers, tweeters, Facebook aficionados, and who knows what else on the social media circuit. We design bookmarks, organize blog tours and interviews, and do whatever we can think of to get awareness of our book out there. One of the hats I wore this week was that of a movie maker. 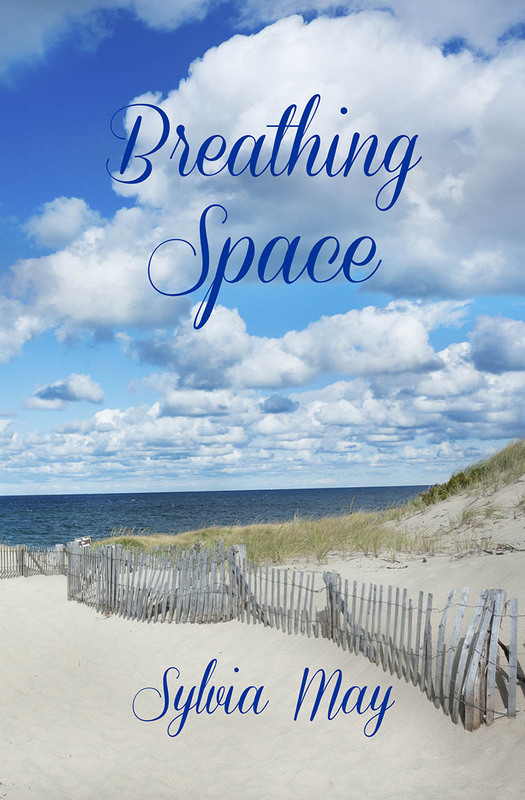 In that role, I created a book trailer for my new novel Breathing Space. It was quite fun putting this together, although time consuming. Step one was to write the script. Having read somewhere that the trailer should not simply copy the blurb description on the book cover but be more poetic and abstract, I composed something akin to a poem. Once I had the words, I needed the images. This took the most time as I searched through my own photo files and stock photo websites. I had certain ideas in mind and finding just the right photo and/or video was not easy. Eventually I was satisfied with what I had collected and proceeded to put them together to make a succinct little film. The last step was to find the music, which I did by visiting the website of one of my favourite composers of royalty-free music, Kevin MacLeod. After putting it all together, there was lots of tweaking, making sure the timing was right in the coordination of the music with the images. Finally it was finished. Want to see the result? Here’s the link. By the way, this isn’t the first book trailer I’ve made. My first novel, The Unraveling for Abby Settel, also has a trailer posted on Youtube. If you’d like to watch it, click here. Mid-afternoon on Friday, October 17th, we waited for the storm to pick up. The wind was howling, but not with the force we expected later. We kept track of Gonzalo across the island by viewing the webcam set up at Dockyard and the radar map on the Bermuda weather website. Also through conversations with friends across the island via text messaging and Facebook. As long as we had power, we were in touch. The storm began to intensify on the other side of the island, but it wasn’t so bad where we were, on the lee side of the storm. Friends who live where the storm was hitting the hardest lost power around 4ish and so I lost them on Facebook, but still managed the occasional text message. And then our lights went out an hour or so later. Thankfully, Richard had just finished cooking dinner. We ate by candlelight. The storm was still not too bad looking out over the North Shore, so we moved a couple of chairs in front of the patio doors to watch the trees swaying and the rain pelting as it got dark. When there was no more light outside we decided it would not be a good place to be sitting when the winds escalated, and escalate they did. As the wind bashed around outside, we sat by the light of candles and lantern, reading, playing games, talking. Richard made tea on the camp stove. We sipped our hot drink, and then just before 9:00pm, everything got eerily still. “This must be the eye of the storm,” I said. And so it was. No wind. No noise. It was a bit creepy, but also a relief after hours of howling winds. The quiet lasted for over an hour. It felt as if the storm was over. But of course it was not. As the wind began to pick up again we went to bed. I startled awake around midnight. Doors rattled. The fireplace rumbled. Trees cracked. Wind bellowed. Sounds I had never heard before stole my sleep from me and they unnerved me. I noticed light in the living room. Richard had been up for an hour already and was reading by lantern light. We wandered around the house. Water was blowing in through the closed doors so we jammed towels in front of them. The wind was sucking water out of the toilets. At edge of the kitchen windows water gurgled. Outside was pitch black so we could see nothing, but we could hear the deluge. The sounds outside were deafening and frightening. We looked at each other in the dim light of the lantern. “This is scary,” we both said. Eventually I went back to bed and fell asleep to the sound of Gonzalo at his worst. In the morning I woke up around 6:00 and he had gone. Trees still swayed in the wind, but gently. I stepped on the patio to look around. Blue sky peeked through clouds painted pink by the sunrise. White caps swelled across the water. On land, trees were downed, our neighbours’ stone railing was completely destroyed, twigs and leaves were strewn about. And that was just in our small corner of the island. Later in the day we rode around the island and saw distressing destruction, magnificent trees pulled up by their roots, roofs with gaping holes where tiles used to be, traffic lights knocked over, wires down, and strewn about everywhere was foliage, twigs, and dead and dying greenery. The cleanup has begun, electricity is being restored, and neighbours are helping one another recover. We do not yet have full power, nor water, but today we are borrowing a neighbour’s generator so we can get our fridge cold again, and so we can have access to the Internet. Last night we had dinner with a group of friends at the h ome of one of them who luckily had power restored. In our conversations, it didn’t matter how often we changed the subject, the topic inevitably veered to our night with Gonzalo. We all need time to process what we went through. Living through an experience like this draws people together and for the support of our friends I am extremely grateful. We’re expecting a category 4 hurricane, named Gonzalo, to hit our island today. 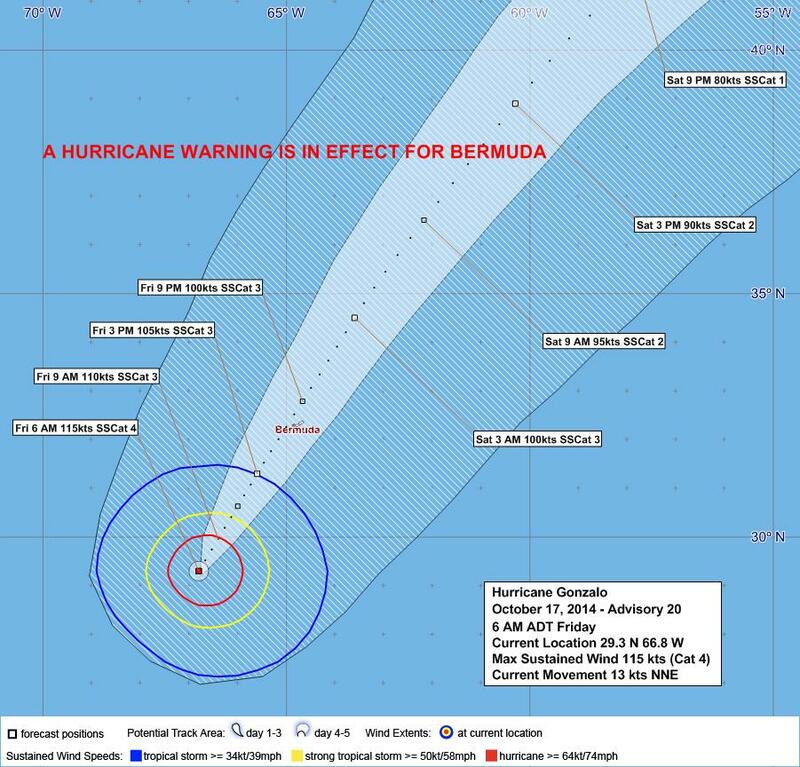 In the five years I’ve been in Bermuda, there has not been a storm of this magnitude, although we have had a few tropical storms and one minor hurricane (see my video A Weekend With Igor on YouTube). Interestingly, last weekend we were hit by major tropical storm Fay, which was classified as just shy of a hurricane, but it caused damage akin to that of a hurricane. Massive trees were felled, roof tiles blown off, wires were downed and we lost power. 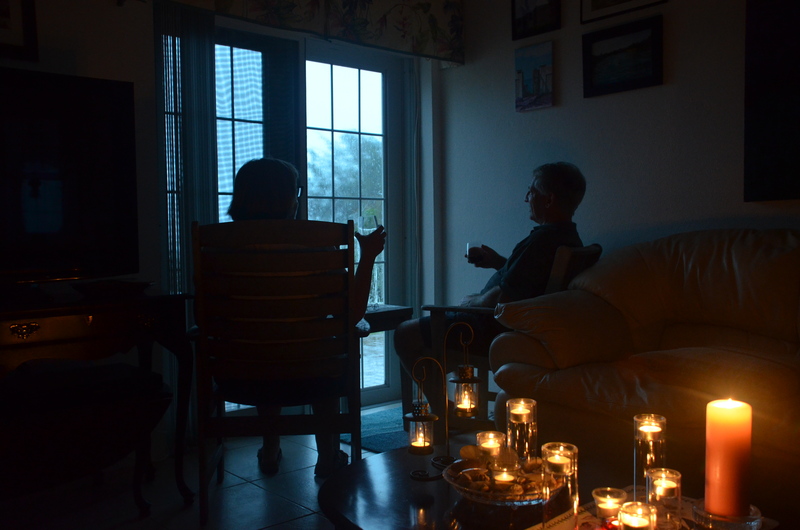 Some people still don’t have power restored from that storm, and we will surely lose power again with Gonzalo. 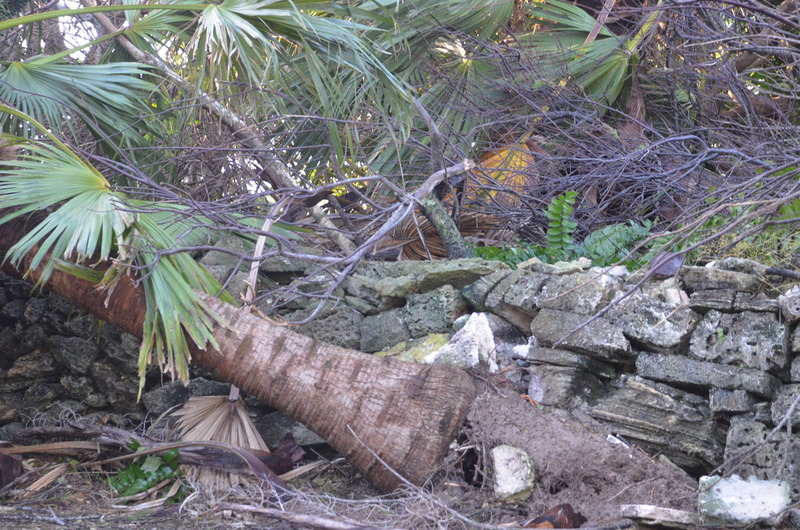 The island has been working at a feverish pitch to clear up the debris from Fay before we are hit with Gonzalo. It might seem strange, but I find the anticipation of a storm like this invigorating. Of course I’m not looking forward to being shut up in a house darkened by closed storm shutters while the wind howls and bashes around outside. And I’m not looking forward to losing power for several days, taking away phone and Internet, not to mention water (it is pumped to our houses electrically). Nevertheless, there is an energy in the air and a strong sense of community all around the island as residents prepare for the storm. But right now it’s a breezy morning and I am going for a walk before I can’t any more. Stay tuned for a post-Gonzalo report. 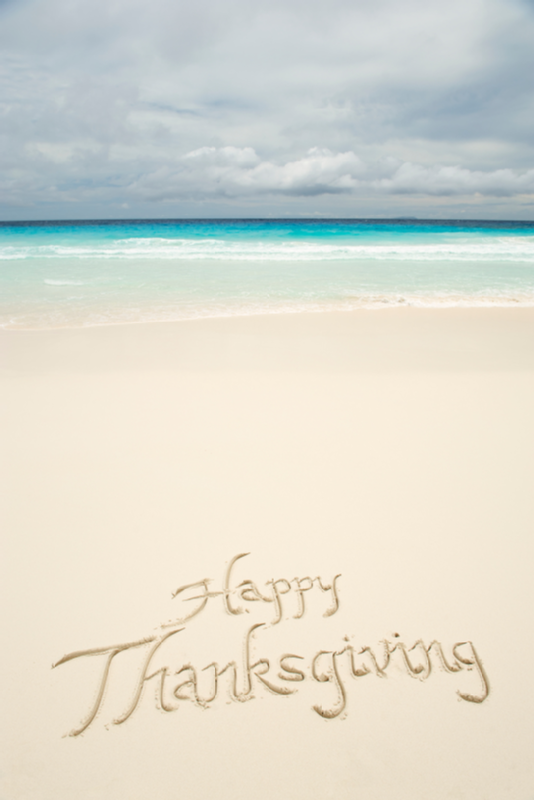 Monday was Thanksgiving day in Canada, and even though we live in Bermuda we still celebrate at our house. We love carrying on this tradition of gathering around the table for a turkey dinner and not just because we love the food; we live a fortunate life and are extremely grateful for everything about it.This weekend we had special visitors to celebrate with–our daughter and son-in-law and 3-month-old granddaughter. Our turkey dinner was shared with two other Canadian families whom we consider to be part of our Bermuda family. There was an added element to this year’s Thanksgiving however. 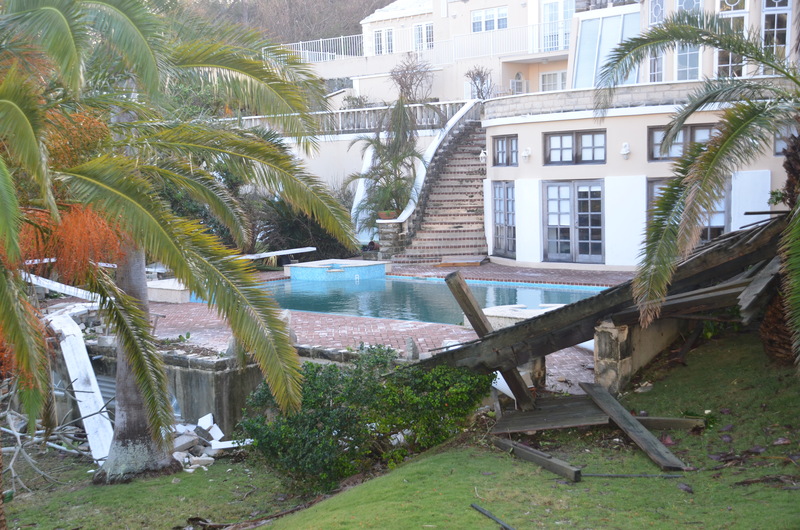 Our lovely island had just been hit by Hurricane Fay in Sunday’s early morning hours. I actually started to write this Thanksgiving blog that morning. I had gotten up early (5:45ish), made myself a cup of tea and sat down to it. But the howling winds distracted me and so did our patio chairs being tossed about outside. I left the computer to help Mr. M battle the winds to remove the patio furniture to a safe place and by the time I returned to the blog we had lost our power. When our power is down, so is our running water. Needless to say, it was a tough morning…no coffee, no showers…however we were one of the lucky households who had their power returned by noon. Others were not so fortunate, including the friends who were invited to share Thanksgiving dinner. We were happy to share our electricity (and shower) with them. And we had a wonderful Thanksgiving after all. The cover for my new novel, BREATHING SPACE, is done. I love the sense of airiness it projects. Take a deep breath, exhale, and walk on the beach. Lydia’s vacation on Hyde Island turns into a journey of self-discovery. The island so entices her that she decides to stay, forsaking her family and obligations in Toronto. Her new life on the lush green island is peopled with interesting characters: a hippy scientist, a dashing Southern gentleman, a slimy boss, and an undocumented Mexican hotel maid with a sad history. As Lydia makes one questionable choice after another, she soon begins to understand why she so easily succumbed to Hyde Island’s lure. BREATHING SPACE is scheduled for release in mid-November, so you only have to wait a month or so before you can read it.